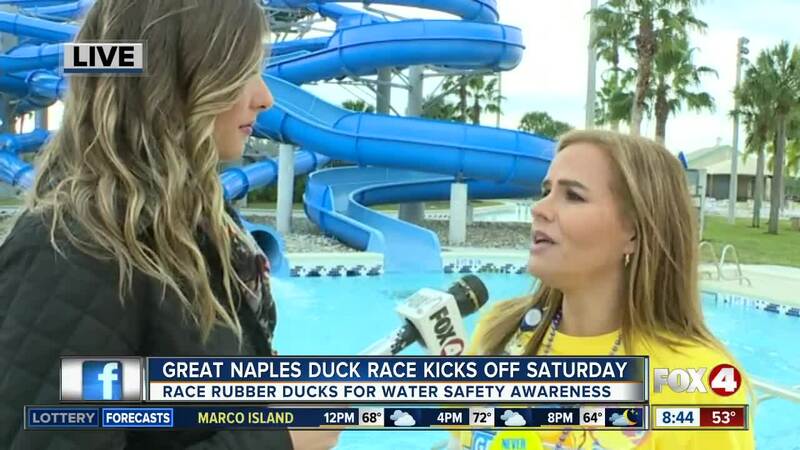 NAPLES, Fla. — 10,000 rubber ducks are scheduled to race down the Sun-N-Fun Lagoon's lazy river this Saturday to raise money and awareness for water safety through the NCH Safe and Healthy Children's Coalition during the Great Naples Duck Race . 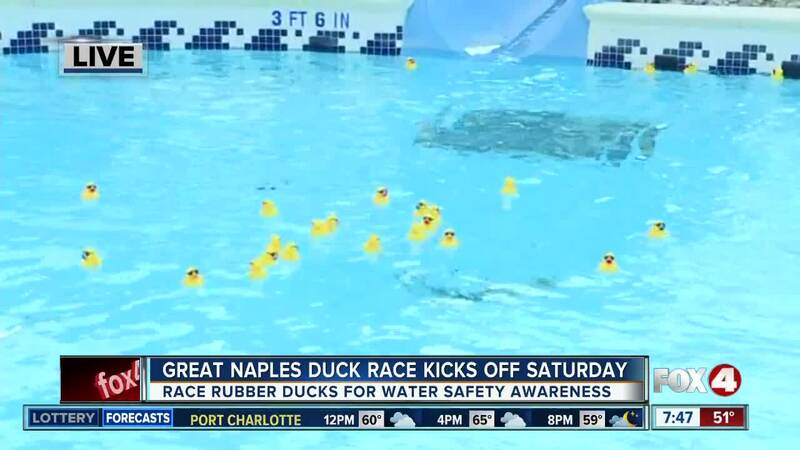 You can adopt a duck, starting at $10, to race down the river for prizes. The first three ducks to cross the finish line will win either $10,000, $5,000 or $2,500. You don't have to be present at the event to win. 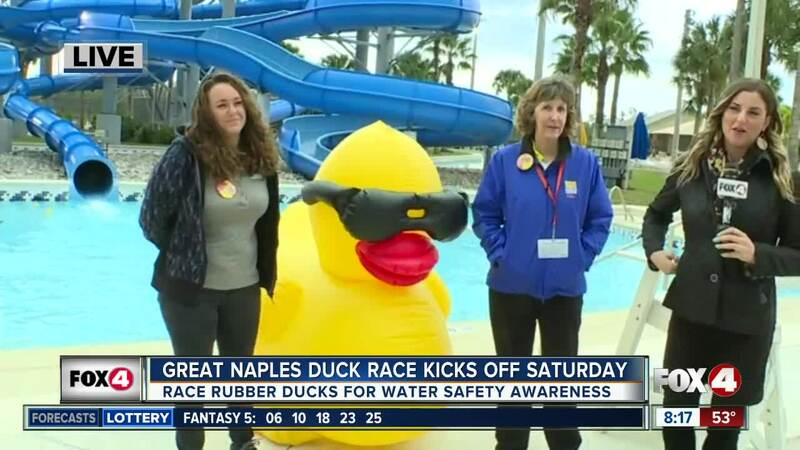 One duck is $10 and will pay for a life jacket that will be available for free use at 15 Collier County locations. $50 will get you six ducks which will pay for 10 swimming lessons for a child. 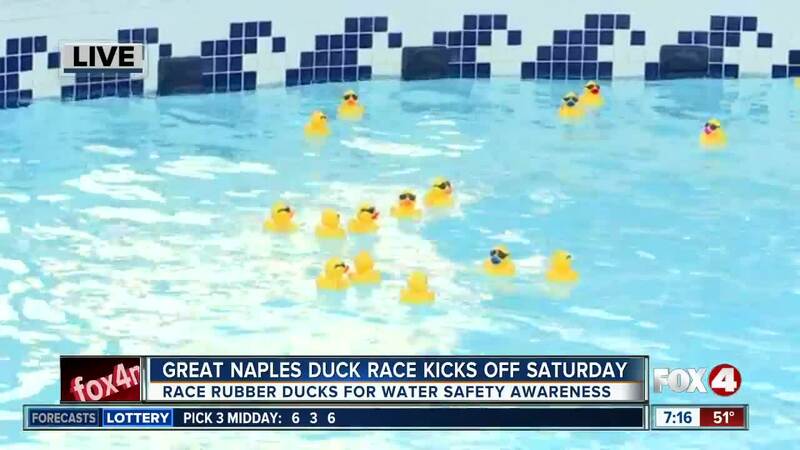 Twelve ducks for $100 will pay for seven water safety presentations at preschools. You can purchase up to 24 ducks for $200. All the money raised will go towards drowning prevention. The event is Saturday, February 2nd at 4 p.m. It's located at 15000 Livingston Road in Naples.